20 songs were played, but only 19 different ones; Ghost Train and The Long Goodbye were hitherto Gary Brooker solo numbers: Into The Flood had been released only in Germany. Stand-in organist, Don Snow, sounded excellent. A video of the complete show was shown only once, I believe, on Canadian pay-per-view television. Mono copies are in circulation, with a fuzzy picture, but the sound is still pretty good. It was subsequently shown on Canadian pay-per-view TV with Homburg, Whaling Stories, Shine On Brightly and King of Hearts edited out. It's still in mono, but the sound is better – it's hi-fi, but not stereo – go figure! The picture is also much better, very clear in fact. There was also a feature on the concerts aired on Canadian Broadcast Company (CBC?) radio. 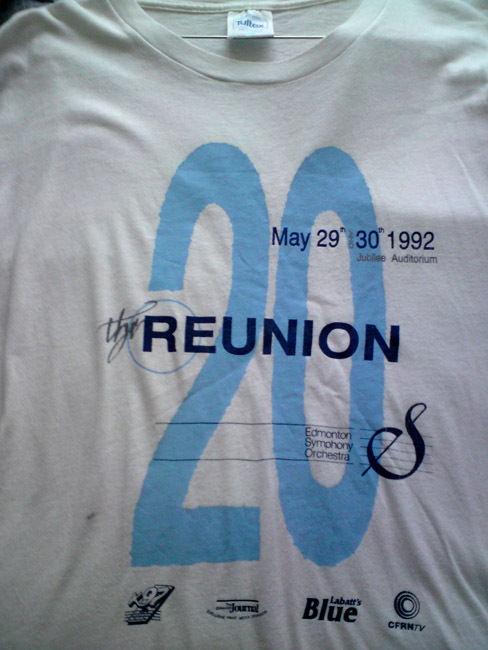 There were actually two Edmonton 1992 concerts – 29 and 30 May. The only difference is that 30 May included the second performance of Conquistador. It's hard to say for sure, but I think the broadcast video comprised the better take of each song from the two performances. I know that the band members, orchestra, and choir wore identical clothes each night, so the video does appear to be seamless. They also edited out most of Gary's patter between songs. I have a full newsletter (PHAST-005) devoted to my May 1992 experiences with Procol in Minneapolis and Edmonton: see here.